Third trailer for the 'Fright Night' remake directed by Craig Gillespie and starring Anton Yelchin, Colin Farrell, Toni Collette, Imogen Poots, David Tennant and Christopher Mintz-Plasse. High school student Charley Brewster (Anton Yelchin) begins to discover several disappearances in the area, with all clues leading back to his mother's new neighbor Jerry, who is a vampire. Charley was once a happy high school nerd until he ditched his best friend Evil Ed (Christopher Mintz-Plasse), became popular and started dating Amy Peterson (Imogen Poots), a hot and popular exchange student from the U.K. Things go well for Charley to the day he discovers that his neighbor Jerry (Colin Farrell) is a vampire. 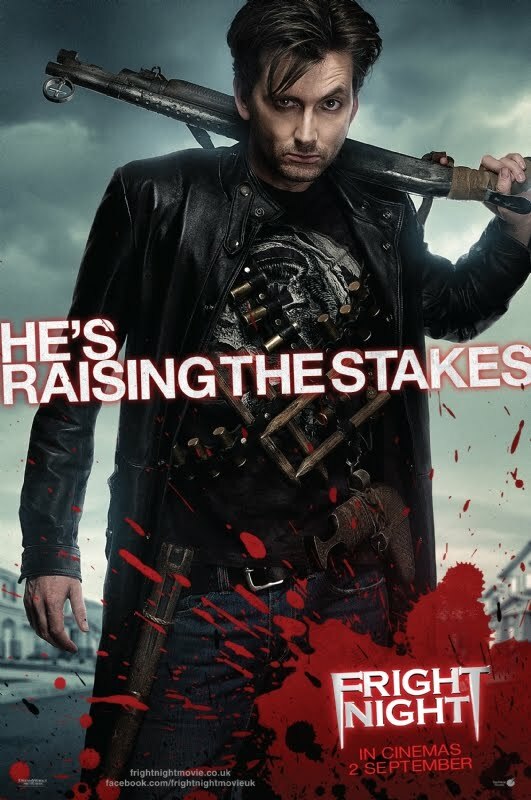 He contacts Peter Vincent (David Tennant), the host of Charley's favorite TV show, asking for help with defeating Jerry, who threatens to kill Amy. 'Fright Night' is out in 3D on August 19 in America and September 2 for Ireland and the UK.